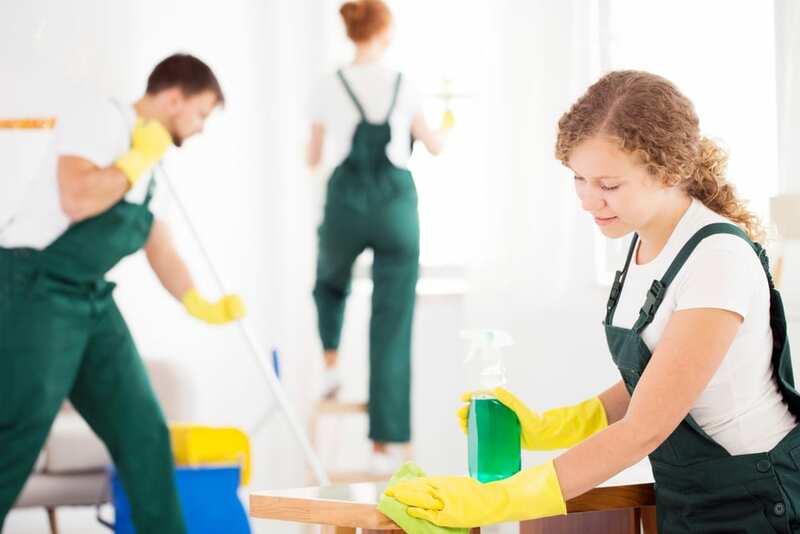 When it comes to home cleaning, if you’re someone who prefers to hire a professional cleaner either for a one-off or regular cleans, it’s important to know what to look for. There are a lot of house cleaning services, and it’s important to hire a professional cleaner that you can trust. At Maid in Melbourne, we’re a trustworthy team with plenty of tips on what to look for when hiring a professional cleaner for your home. Often, if your family, friends, or co-workers recommend a professional cleaner to you, it’s a safe bet that this is a cleaner you can trust. Word of mouth and personal references are always a great way to go about hiring a professional cleaner. However, if you don’t have anyone who can make a recommendation, check out reviews on social media or online. Take into consideration the source of the reviews, the number of reviews, and the ratio of good to bad. A few negative reviews are no big deal, but if the numbers start to get any higher than a couple, you may want to look elsewhere. There are a number of ways that a professional cleaner may have earned their qualifications. Maybe they have years of experience, awards, accreditations, or glowing references from impressive sources. While the source of their qualification isn’t always important, it is always a good idea to ensure they have some form of it. A good professional cleaner will have a policy in place to guarantee customer satisfaction. At Maid in Melbourne, we guarantee our cleaning services provided our cleaners are given enough time to complete the job and the job requirements were communicated clearly. Before hiring your cleaner, ask about their guarantees and make sure you are happy with their policy. Some will offer a free cleaning, a touch up, or nothing at all. Always best to hire a professional cleaner that stands by the quality of their work and will make amends if it falls short of your expectations. Hire a professional cleaner that has experience cleaning a wide range of homes and commercial facilities. They will have the experience and know-how to tackle any challenge, clean thoroughly, and work efficiently. Need Some Professional Cleaning Help? At Maid in Melbourne, we offer thorough cleaning services in all residential areas so you don’t have to worry about taking on the daunting chore. We’re experienced, reliable, and ready to help with a range of cleaning services in Melbourne. You can receive a free instant quote, get in touch online, or call our domestic cleaners on 1300 718 417 today!